t's ironic, but the most interesting things happening in the Compact Disc player market segment are taking place at a time when the format had already been definitively rendered obsolete by most audio manufacturers and is considered a "descending" by the music companies. The solutions proposed by companies associated with the format for years, for example: the C.E.C. and Reimyo allow you to achieve sound quality of a CD which one could only dream of looking enviously at what performance turntables and tape recorder offered. Even sooner similar signals began to come out of the SACD (Super Audio CD) camp – a super-niche format, which survived mainly thanks to the passion of some people in Japan and fantastic NEO-VRDS drives made by Esoteric. This format's revitalization, however, was possible only because of popularity of high-resolution file players, including those capable of playing DSD (Direct Stream Digital) files. At first it seemed that it wouldn't be affected by this race towards higher and higher numbers that took place in the PCM (Pulse Code Modulation) camp, but now if the DAC doesn't decode the PCM up to 384 kHz and 32 bits resolution it is "outdated." And yet ... pretty soon new DACs were introduced capable of not only decoding DSD64 (ie the basic sampling frequency the SACDs are encoded with), but also DSD128. Now we are talking about DSD512 which translates into a sampling frequency of 22.5792 MHz (512 x sampling CD frequency). Decoding a DSD signal seems pretty straight forward – many currently produced PCM DACs provide an interface that allows them to “accept” also a DSD signal. The technical specification of such chips usually mentions their "compatibility" with the DSD signal. If you take a closer look you will find out that such statement is based on a lot of good faith, a bit of naivety and a lot of cynicism. Virtually all currently produced D/A Converter chips are of multi-bit Delta-Sigma type; including the Ring-DAC, a converter designed by dCS. This means that a single-bit DSD signal must be converted to a multi-bit one and only then it can be converted to an analog signal. I remember perfectly that, when I worked for the "Sound & Vision" magazine, I received for a test the DX-SX1 Sharp SACD player (it was some time around 2002). Its sound was fantastic - as it turned out, not only due to the excellent chassis, fantastic transport mechanism, but in large part due to the great, one of the last ever produced 1-bit DAC chips. It was based on the experience gained by Philips, that already in 1987 introduced Bitstream DACs, which were true one-bit systems. They had their advantages, such as better small signals linearity, however, there were some issues, too. The audio world took a different direction, following the revolution of home cinema systems. Today, firms betting on SACD and/or DSD try to deal with it in a different way. One example of an interesting solution is the Multiple Double Speed DSD (MDSD) from Accuphase, which works as a low-pass filter, greatly simplifying the system, and among those coming from small companies I could point out the Bulgarian APL, which for years has proposed converters that convert PCM signal to DSD, upsample it to DSD128 and only then the signal is decoded (more HERE). 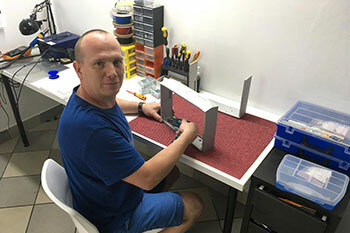 It is worth to note that first man in Poland that made “DAC-less” conversion of DSD signal alive was Mr. Łukasz Fikus of LampizatOr. A year ago, however, I heard again about a solution that was supposed to eliminate an active converter from DAC. The solution was proposed by Polish company Amare Musica. Almost at the same time a similar concept was introduced to me by Gerhard Hirt from Ayon Audio. The DSD signal can be decoded using a relatively simple analog filter composed of resistors and capacitors, and no other additional chips/circuits are needed for that. 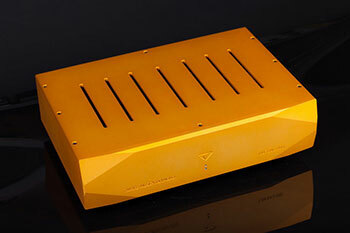 Of course, to make such DAC compatible also with the PCM signal, it must be equipped with a PCM / DSD converter. That's the idea behind Tube DAC DSD. 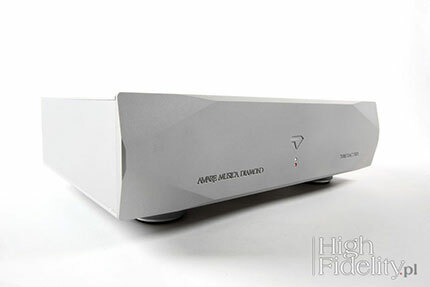 From the practical point of view it is simply just another "DAC" with a simplified operation. There is no display, no input selector, it is just a silver "cube". Well, not exactly a cube – a characteristic truncation on the front make the shape similar to the one of a diamond, which is also confirmed by the name of the series this device belongs to. 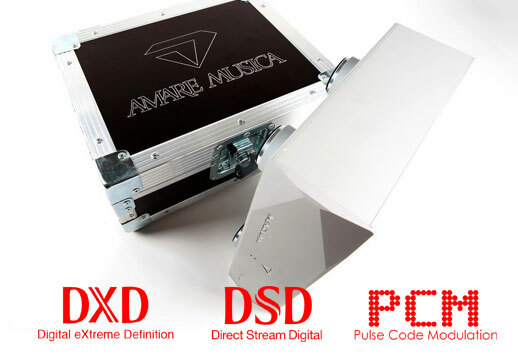 The USB port is the key input, accepting PCM signal up to 384 kHz and 32 bits, and - above all - DSD up to Octuple DSD, ie. DSD512. There are also classic PCM signal inputs - RCA (S/PDIF) and XLR (AES/EBU), accepting only the PCM signal, and "only" up to 192 kHz and 24 bits. The device looks very solid, because it is made from perfectly matching 10 mm aluminum plates. Proper care was also taken about vibration damping – DAC features manufactured specifically for Amare Musica, Ceramic Disc Tablette by out good friend from Franc Audio Accessories. And this is an important feature of this device since the output signal is amplified using electron tubes. 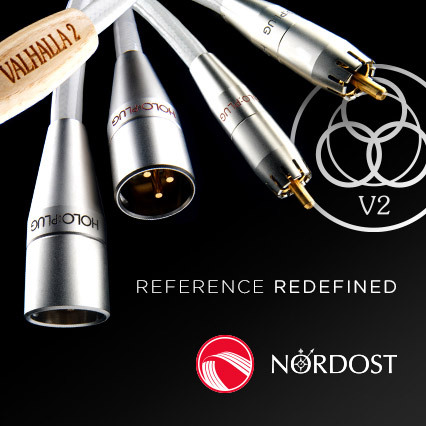 This is a balanced design with both, balanced (XLR) and unbalanced (RCA) analogue outputs. The digital circuit features actually only digital D/D converters, that convert one type of digital signal to another. It works just the same for USB input as well as for RCA and XLR ones. The former "unpacks" PCM and DSD signals and sends it to the circuit that converts signal to DSD. Also a signal from the RCA / XLR inputs is converted. If, however, the device receives a DSD signal it is sent directly to the passive filter. Designing and building a DAC, which would meet today's customer requirements is a real challenge. Our idea to interfere as little as possible in the digital signal and avoid using of traditional DAC chip required us to wait for an appearance of newer technologies on the market. The solution came with AKM4137EQ DAC from Asahi Kasei Microdevices, which was finally introduced to the market. It met our requirements and helped us to design a DAC without a classic DAC chip. Yes, it is possible. 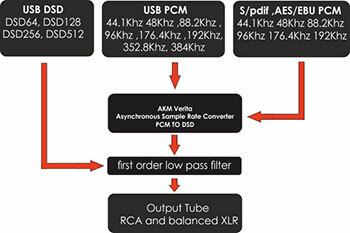 The input PCM/DSD signal from USB, S/PDIF or AES/EBU inputs is converted inside AKM4137EQ chip to DSD signal. Then it enters the R2R filter and passive filter of the first order. The advantage of this solution is, in our opinion, a very analog sound. To even deepen the benefits of sound obtained from the digital section of our device we decided to utilize a tube analog stage using a differential amplifier with a current source and repeaters. Members of 6DJ8 / 6922 / E88CC / 6N23P family are perfectly suited for the job. Stabilized power supplies for analog and digital sections complemented the properly designed circuit. Anodized housing milled on a CNC, a flightcase in which the device is packed, anti-vibration feet made by Franc Audio Accessories and above mentioned advantages mean that one has the feeling of communing with a device of a much higher price range..
After one installs USB drivers (S/PDIF and AES/EBU require no drivers) Tube DAC DSD is ready to go – no adjustments, no settings, just “plug'n'play”! I used Ancient Audio Lektor AIR V-edition as a CD transport and PC HP Pavilion dv7 (JPlay, Windows 10, 8 GB RAM, 128 GB SSD + 520 HDD) as files transport for Tube DAC DSD test. I played both, CDs and music files. The latter were mostly DSD ones, some of them also DSD128. But I listened to a lot of 24/96 and 24/192 PCM files too. Playing CDs was no different from using a classic player of this type. With files it was somewhat more difficult. First I needed to install the driver, available for download from Amare. Once installed, it turned out that the high resolution files delivered a much lower volume than a CD played with a player – there was a few dB difference between them. A DSD files were even quieter. A lot depends on the settings on your computer, but you have to reckon with a pushing the volume knob higher than usually. Perhaps a better choice would be a dedicated music server. Let's not kid ourselves - it IS a specialized product. I could keep this statement for the end of the test to sum it up with a strong, catchy slogan, but delaying something that has to be said anyway doesn't make much sense: the Tube DSD DAC is designed, optimized, fine-tuned in order to play: (1 ) files (2) of high resolution, preferably (3) DSD. This belonging to the Diamond Series converter very nicely deals with a signal delivered using S/PDIF cable from a CD transport and its performance with standard CD resolution files is also very good. But what makes music breathe and live are mostly hi-res files, especially DSD ones. When I used CDs as signal source the performance was smooth and free of sharp edges. Since I tried to spot any problems with treble in particularly adverse conditions, ie. with albums with a strong signal compression and "dirty” treble, I reached for the last OMD and Pet Shop Boys albums. The latter is not so bad, but still it is meant for listening in the car and by small headphones from your smartphone. DAC changed the way the sound was presented. There were no hard edges, nothing “jump out” of the mix, the treble wasn't harsh. The presentation was actually quite nice, ie., it gained some depth, it wasn't just a flat wall of sound. Also, the colors' differentiation seemed better - and with this type of music it is a welcomed feature because it shows changes in the instruments. The rhythm was also nicely preserved, timing was good which one of the key elements of the music.